The Pelican 1430 Top Loader Case is the ultimate way to store, protect, and transport valuable equipment. The case has a flip-top lid that provides easy access to your gear. 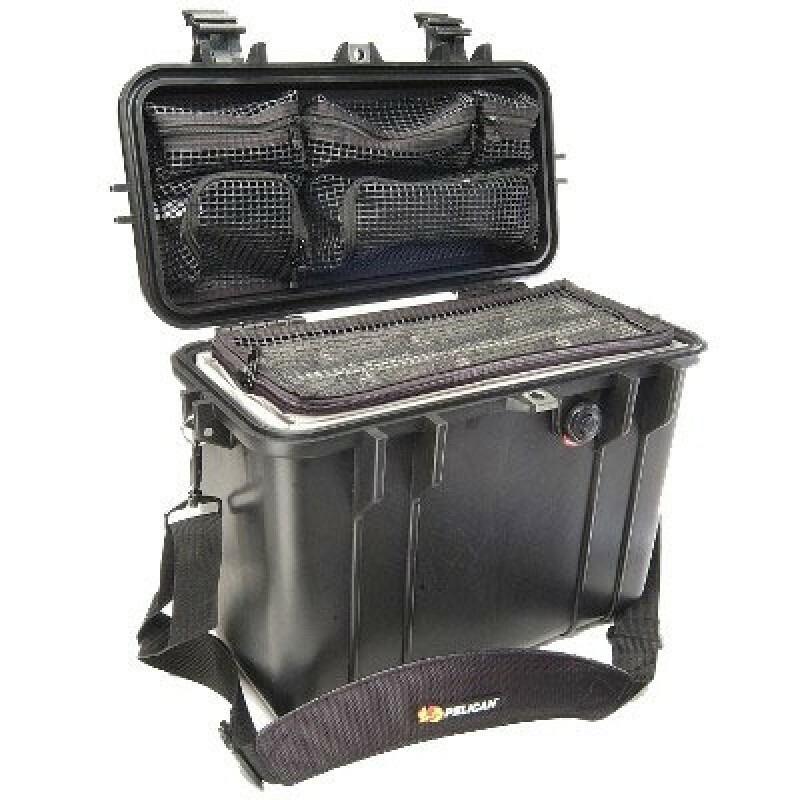 The Pelican 1434 Case includes a padded divider set that consists of two divider layers and a lid organizer. The Pelican 1430 hard case is virtually unbreakable and totally guaranteed. Pelican waterproof cases are airtight and durable. The 1/4" o-ring seal includes a pressure release valve for adjusting atmospheric pressure change. Pelican Cases is the only safe way to protect your equipment during transport. 13.56" x 5.76" x 11.70"
16.93" x 9.61" x 13.42"